Emergency services were called to Cosford Lane in Brownsover yesterday afternoon (Wednesday). Two fire engines from Rugby were sent to the scene at 4.08pm where they used hydraulic cutting equipment to free a male from a vehicle. The male was said to be “medically trapped” - meaning that his injuries prevented him being moved easily. 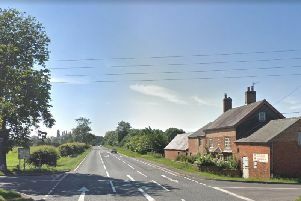 A spokesperson for Warwickshire Fire and Rescue service explained: “Crews confirmed that the casualty has fallen off a quad bike and had sat in his friend’s van when he complained of back and neck pain.